Desi Smith/Staff Photo. 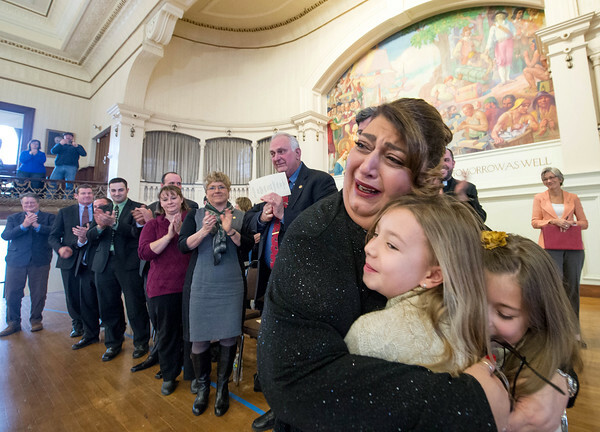 Mayor Sefatia Romeo Theken is overwhelmed with joy after she is joined on stage by her grandchildren Bianca Oliver and Emma Trombly after giving her Inaugural Address Friday afternoon at the Kyrouz Auditorium at the end of the Inauguration Ceremony. January 1,2016.